With the start of a new year there’s always a whole host of new anime and game releases to look forward to and as someone who doesn’t spend their money particularly wisely there’s a lot to look forward to. 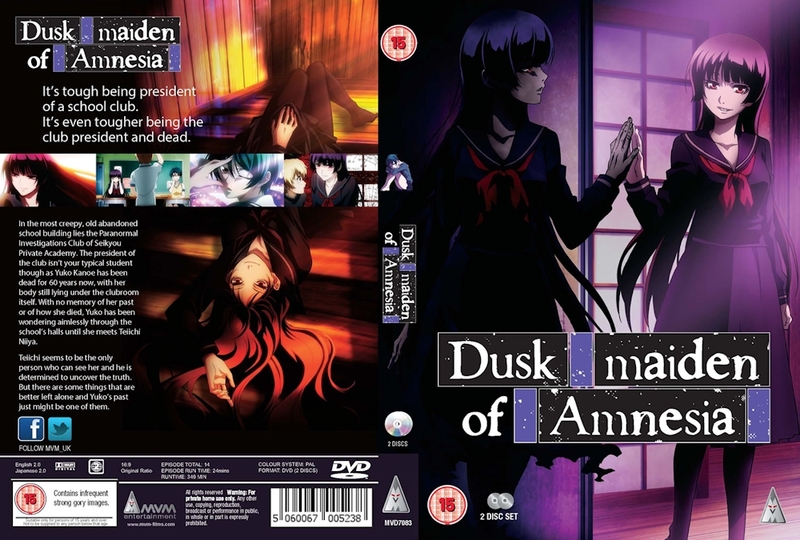 2014 promises to be a particularly good year for anime releases in the UK with Anime limited increasing their number of releases and even MVM bringing out their first limited edition. On the gaming side, things are equally exciting with a whole host of next generation games coming as well as a number of interesting localisations for handhelds. So without further ado here are some Anime and game releases I am particularly looking forward to in 2014. Unlike most Manga UK series this is actually a combi pack. 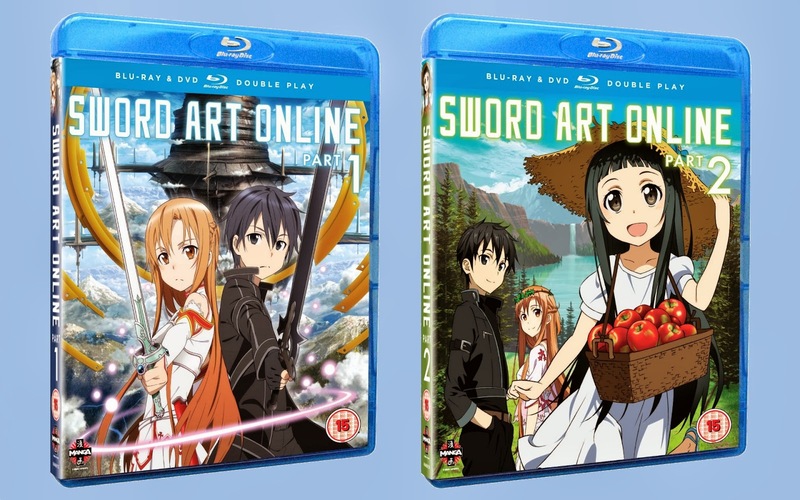 Sword Art Online part 2 Jan. 27th – Okay, so part one of this show was more of an impulse buy for me more than anything else, I actually didn’t really like the show all that much when it was airing and never made it past episode 15. But now that I’ve bought part 1 I kinda have to buy the rest. At least the Manga UK Blu-rays come in a combi pack which is more convenient for me. To save me commenting on this series again parts 3 and 4 both come out on the last Mondays in Feb and March respectively. I love the Artwork used in this release. 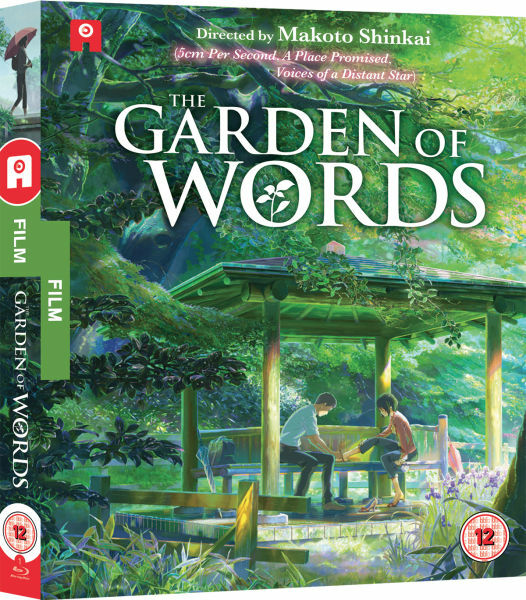 Garden of Words Feb.10th – Next we have Makoto Shinkai’s latest work, Garden of Words, courtesy of Anime limited. While I am not Makoto Shinkai’s biggest fan, I still couldn’t help but like this when I saw it at Scotland loves anime and Ill probably pick it up at some point. Even if you don’t like Shinkai’s story telling you should probably still pick up the Blu-ray just to see it in HD. Looks like This will be the standard MVM release. 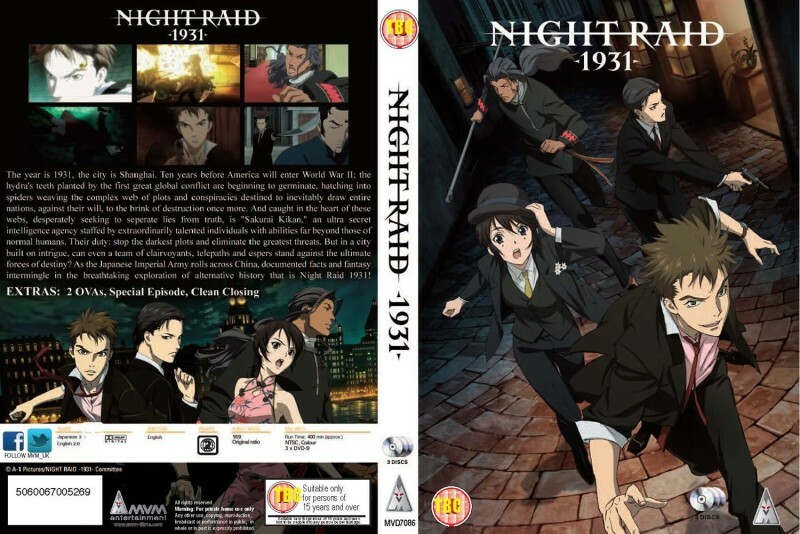 Night Raid 1931 Mar.10th – Much like Dusk Maiden I haven’t heard too much about this and again its another DVD only release so Ill pick it up if its cheap. As far as I can tell this will be an amaray case set rather than the nicer Cowboy Bebop style edition. Outlaw Star Mar. 24th – I am really looking forward to this release. After having just finished cowboy Bebop, I am yearning for another series of its type and what better way to fill that gap than by watching one of the series that inspired Bebop. Tiger and Bunny the Beginning Mar. 24th – I really love Tiger and Bunny, the series was great fun and the movies promise to be more of the same. From what anime limited have been saying there should be a lot of extras with this release, which more or less confirms my intention to buy it. And Manga went ahead and changed the design for its release of the Rebuild movies again just to annoy collectors. Evangelion 3.33 Mar. 31st/TBA – Okay so Manga have pretty much confirmed this as being delayed but either way I am still really looking forward to this release. 3.33 is probably my favorite Rebuild film after having seen it twice and it’ll be nice to finally own it. Another really nice looking release from Anime Limited, the DVD edition looks equally good. Durarara Apr. 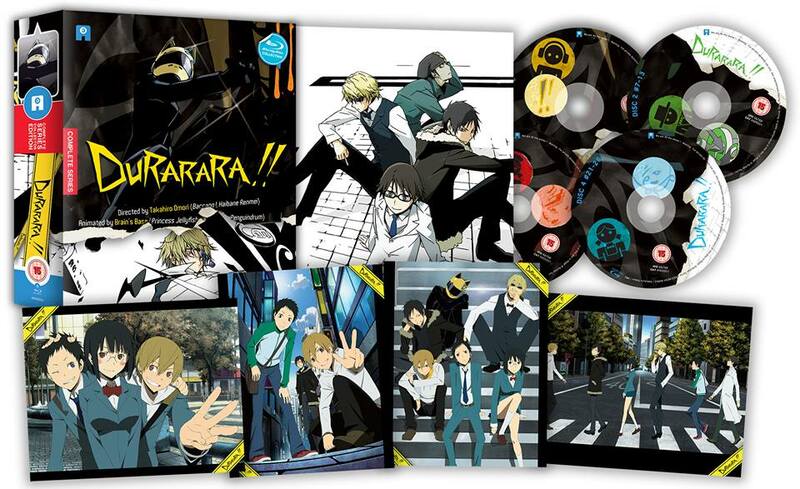 28th – Finally Durarara has made it to Blu-ray. I really like this series and its great to see it finally get a proper release in the UK, especially with the Anime Limited, Limited edition treatment. As far as we know this will come in the same sort of the sets as the Cowboy Bebop Blu-rays did. 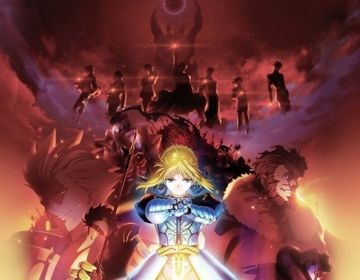 Fate/Zero part 1 Apr. 28th – I’ve heard both bad and good about Fate/Zero and its a universe I’ve never really had much interest in, so I might pass on this one. But its nice to see MVM finally do a limited edition and if its good enough I might take a chance on this. Part 2 is also set to release the last Monday in May. Unfortunately we don’t have a picture of the set yet, but Anime Limited have some pretty cool promotional art work. 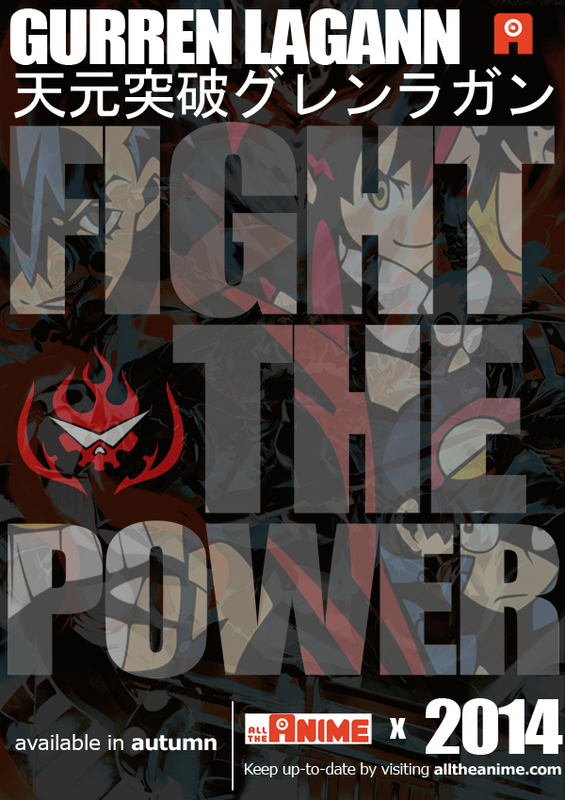 Gurren Lagann Ultimate Edition Jun. 2nd – This is probably one of the Biggest releases of the year, all of Gurren Lagann including, the movies and Parallel Works in one set with a 50 page hardcover art book and some other cool stuff. This seems like the best alternative to anyone who wanted Gurren Lagann on Blu-ray but wasn’t mad enough to buy the $500 Aniplex set. I’ve already preordered mine and if your interested I suggest you do the same as this is capped at a 2000 copy print run. You should definitely take a look at the series on wakianim(or Funimation if your in the US) if you haven’t already. Space Dandy Nov. 24th – Okay so I did say I wasn’t really enjoying the show that much in my first Impressions but I have faith in it improving and Novembers a long time away. Guilty Crown Part 2 – Slightly concerned about this usually we would have heard something about a release date for part 2 of a show after part 1 has been out for 2 or 3 months, but so far nothing. Attack on Titan – Not entirely sure if this is scheduled for this year but non the less it will be a big release. Psycho Pass – Hopefully Manga does something interesting with this one considering the limited edition complete set coming out in the US. Wow I hadn’t realized that there where that many releases I was looking forward to, its likely Ill only get round to buying half or less of these releases but hopefully it give people an idea as to whats coming out. Anyway that was a lot for one post so Ill split the gaming section into another post to come in the next few days. In the mean time let me know if people find these sort of posts interesting or informative and if not why. 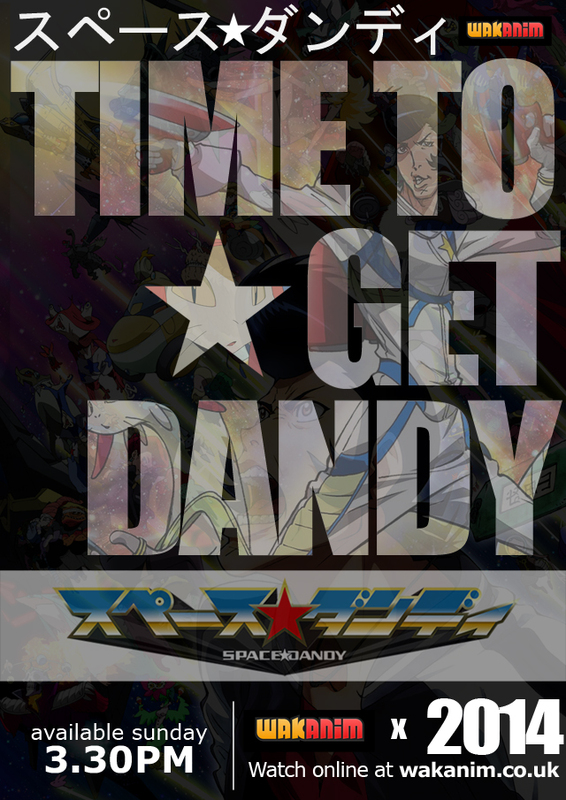 < Previous Space Dandy a victim of Hype? I am looking forward to Durarara. 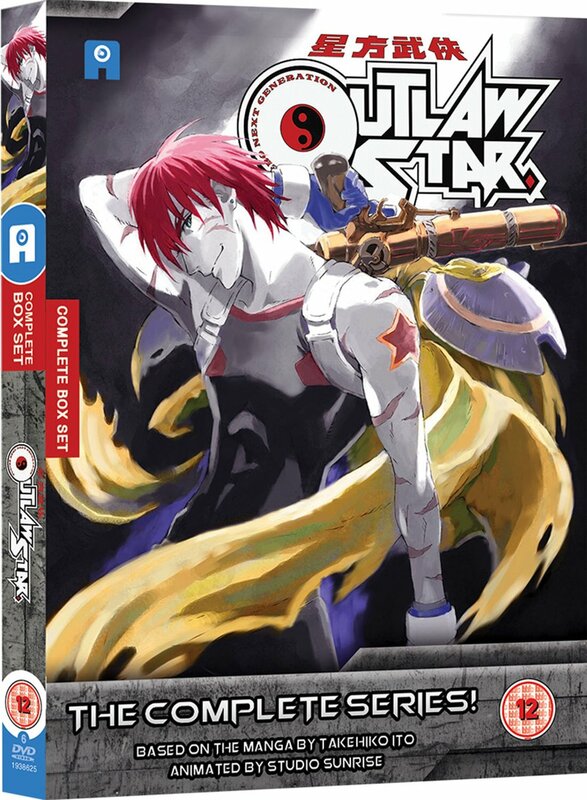 If you haven’t seen Outlaw Star you are in for a treat. Tone wise it’s not like Cowboy Bebop, but it’s good fun all the same and an under-rated gem.